It’s mid-April and all of the sanctions, with the exception of the IDBL, have had their season openers. So heading into the Pingel Spring Nationals at Maryland International Raceway this weekend, racers better be ready to get their name on the leaderboard. 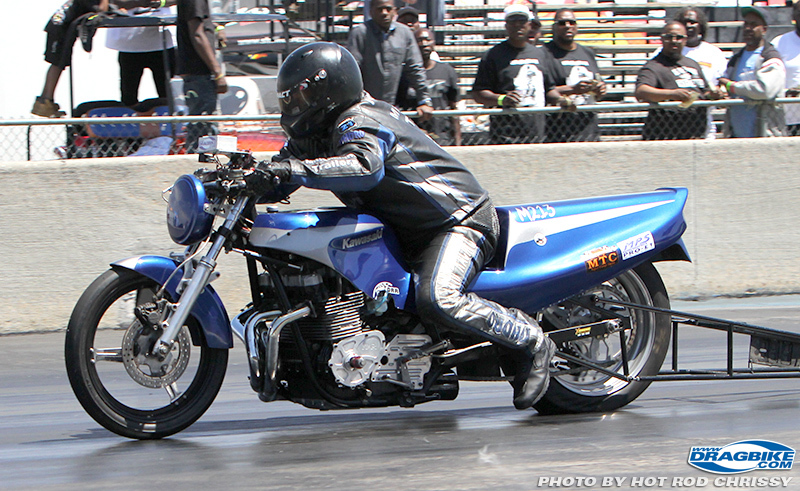 John Markham who races across several of the sanctions has already laid his claim to the #1 position with two wins and a runner-up finish at the Man Cup and NHDRO events. But what is most notable is that our newest BAMF participating sanction, the SDRS, has a racer sitting at the top of the leaderboard as well. Mike Perry started out the year with a win and runner-up to put him tied for third place next to Gary Russell and Kevin Winters. Awesome! I can’t believe how successful the 2016 racing season has started, it’s a bit surreal. We would love to make a run for that BAMF trophy, but we have our work cut out for us since we don’t run the IDBL series and so many talented racers do. Ben Knight, Dustin Lee, and Boo Brown just to name a few will be relentless at the events we can’t attend. But with hard work I reckon it’s within reach, so we will see what happens! I’d like to thank my awesome sponsors, Xtreme Motorsports, Millennium Trailer, MPS Racing, and Ken Schwartz. With their help it will definitely put me in the running this year. 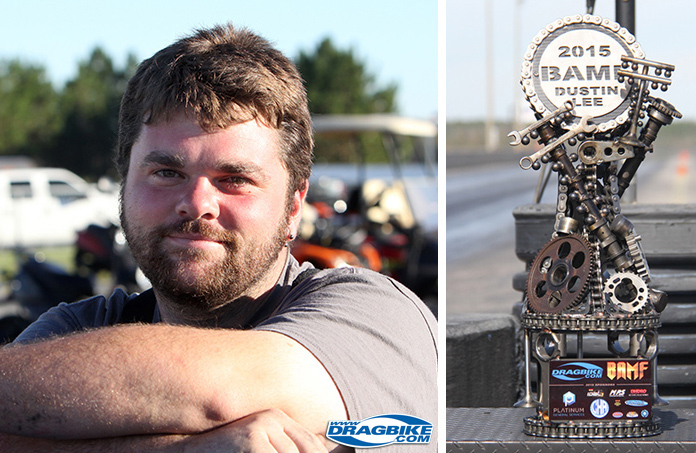 And thanks to Dragbike.com for the whole concept of crowning a BAMF and to the sponsors that make it happen! Hopefully Markham racing will continue to be a threat of being 2016 BAMF! Right now Markham doesn’t have plans to attend the IDBL season opener, and we know Dustin Lee would love a repeat, and Ben Knight will more than likely show up with an arsenal of bikes looking to rack up some points. Because who is better than a BAMF? …. Nobody! Now to kick off the season we have already raised $3,550.00 in CASH from our sponsors for this year’s BAMF. Land Speed Racer Ralphie Navarro of Platinum General Services has upped the ante again with a $2,000 donation! Dan Rudd of MPS who helped us start this program in 2014 has also increased his sponsorship with $500.00 CASH. David Poague with Interstate Specialty Services has returned for a 3rd straight year with a $250.00 donation. Dimey Eddinger of DME Racing and Dave Schnitz with Schnitz Racing are contributing $200.00 each. And to round out our sponsors to bring the total to $3,550.00 are Guy Caputo with Tiger Racing, Dave Conforti with Worldwide Bearings, Eric Hochstetler with MTC and Don Plesser with PR Factory Store ,with a $100.00 donation each. We did mention that this is all CASH right? No gift certificates, no store credits, just CASH MONEY! Thank you to all our sponsors for supporting this program and our sportsman racers. 100% of the money they pay into the fund goes right the winner. So these companies really believe in how important sportsman racers are to the sport. 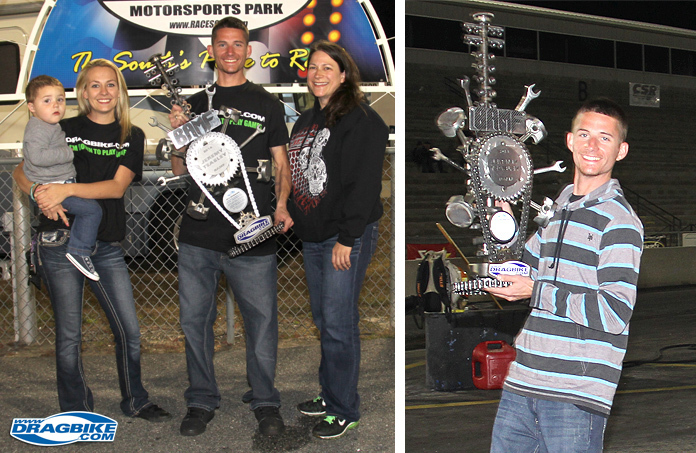 In 2014 and 2015 our sponsors paid out over $6,000 in cash to Jeremy Teasley and Dustin Lee. That can give you a nice fund to play with over the winter! Even if your not the BAMF, please take the time to thank all of the sponsors when you see them at a race or send them a shout-out on social media. This only happens because of them. Returning for 2016, the talented Tom Patsis of Cold Hard Art will be creating this year’s Badass trophy again. So be on the lookout for it at an upcoming race this summer, you won’t be able to miss it!